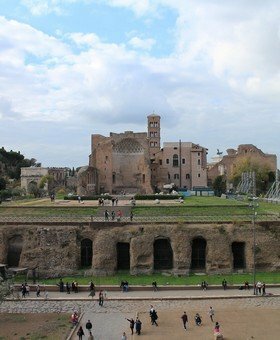 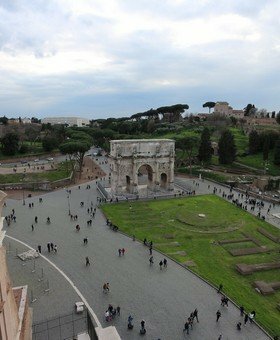 Visit the restricted Colosseum arena floor with this private tour:see the Colosseum from the gladiator’s entrance, the Roman Forum and the Palatine Hill. 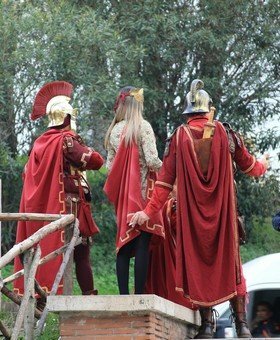 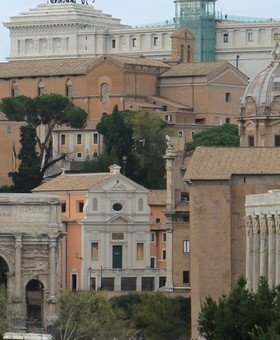 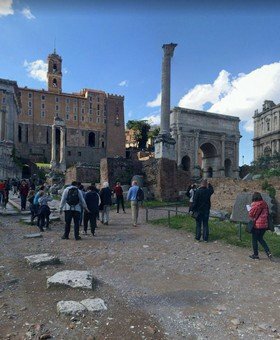 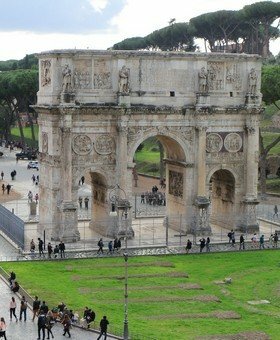 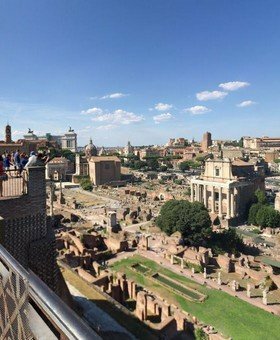 Ancient Rome tour is a comprehensive tour that will show you all the main attractions of the ancient city, giving you all the needed info about the history of Imperial Rome. 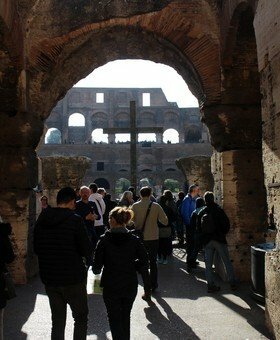 You will meet your guide at the meeting point, close to the entrance of the Colosseum. 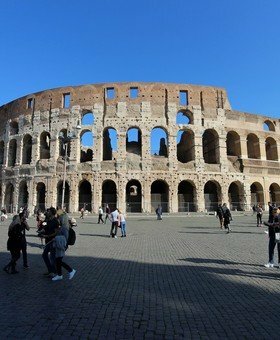 You will join the privileged line with your skip-the-line tickets and get inside, straight in a restricted area: the arena, where gladiators fought in front of 80,000 persons. 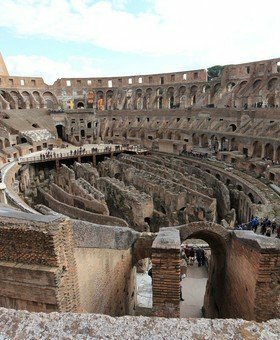 This area of the Colosseum is not open to all the visitors, but only to a small number of persons with a special ticket that we provide. 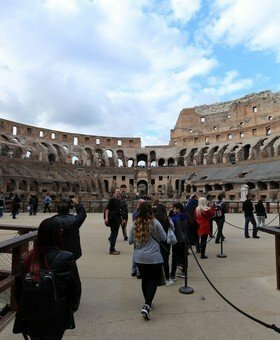 After some minutes in the arena, you will also visit all the other parts of the Colosseum. 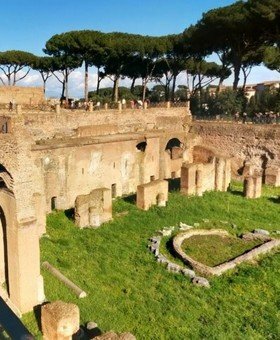 Finally, you will visit the Palatine Hill, the legendary place where Rome was founded, to see the Imperial palaces from where Tiberius, Caligula, and Nero ruled the largest Empire in the world. 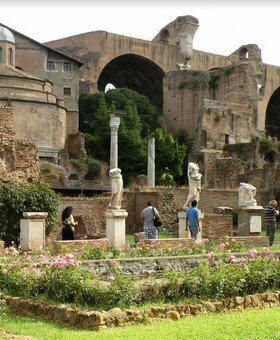 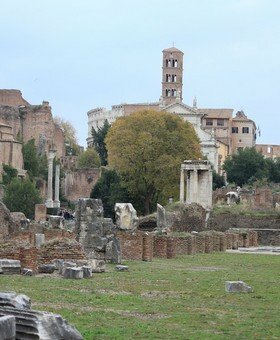 In the late Imperial age, the Palatine Hill was filled with palaces at a point that the Latin word palatium started to indicate the palace par excellence. 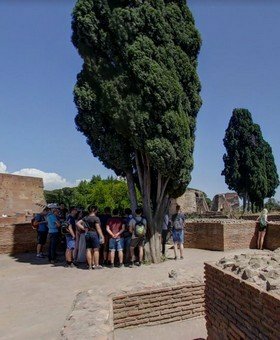 For this tour, it’s necessary to provide a list of participants and their birth dates. 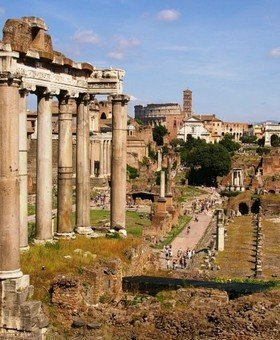 Each participant must be able to show a photo ID document issued by his government. 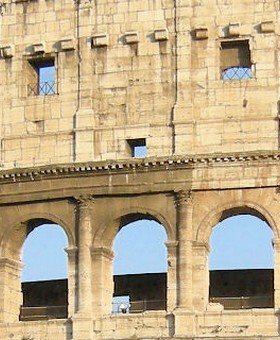 Failing to comply with this policy could result into refused access to the Colosseum. 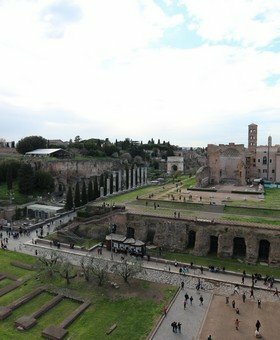 Even if you cancel this tour in time (at least 7 days in advance), there is a cancellation fee of € 35/person because entrance tickets are not refundable.